Welcome to the Alternative Depression Therapy website! Your resource for services and information on alternative and holistic treatments for depression, trauma, bipolar disorder, anxiety and stress. Here you will find support for living a life of purpose, authenticity and freedom to be your true Self. Most of our mental, emotional and even physical pain is rooted in unresolved emotional traumas that have never been resolved. You are the entire ocean, in a drop." 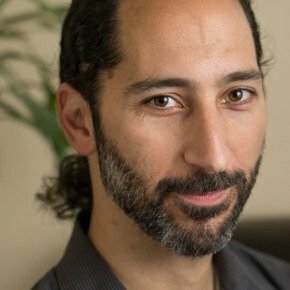 Energy Psychology Treatments such as EFT Tapping, integrated with Meditation, Yoga, Mindfulness, natural health, and Transpersonal Psychotherapy, offer a deep and life-changing path for healing the pain of depression, and achieving new levels of happiness, vitality and peace of mind, and wisdom. The path of transformation is about embracing what is in this moment, and not hiding from pain. It takes great courage to not run from pain, but the path can lead us deeper within, where we may discover the places in us that we've forgotten, neglected or denied. The experience of what we call "depression" is a signal from your heart that something is out of balance in your life. When depression is no longer seen as an illness, a misfortune, or an enemy to fight, it becomes a doorway to your authentic Self, your freedom and your joy. The real source of this pain is different for each person. And each person requires a unique approach to their transformation. Information about EFT (Tapping) - a powerful Energy Psychology technique that holds great potential as an alternative depression therapy. (This my primary method of helping my clients). New ways of thinking about healing and personal transformation. Self-Help Tools and information to assist with your personal growth and recovery. Reference guides to products and alternative technologies for wellness. Guided Meditations for deep relaxation, expanded self-awareness, and relief from depression and anxiety. Depression is like a bad dream that never ends. It alters our perceptions of ourselves and the world, and causes unbelievable suffering. While depressed, it is very difficult to remember how it feels to be happy, or how to find your way back to feeling normal. Anyone suffering from severe depression, needs immediate, effective treatment, which should usually include both psychological (mental/emotional/spiritual) as well as physical interventions. Lower level depression is even more common in our culture, and easier to hide. We tend to seek happiness by trying to deny or get rid of our pain. But this approach doesn't work. We can spend our lives running from ourselves. Living a life of constant distraction and activity may give temporary satisfaction but will never end in fulfillment. What is it that we all want? Is it enough for you to not be depressed? Or would you like to be truly happy? Well-Being is more than the absence of depression. What is rarely understood, is that the state that we call depression, is most often a direct result of unresolved past emotional trauma that has "depressed" our very life force on every level. 1. Compassion for yourself (Self-Acceptance) and for others. An alternative depression therapy should focus not just on the resolution of symptoms, but on raising your consciousness. This website is your portal to a deeper exploration of what it means to find your Self. Effective alternative therapies treat the whole person, so the benefits go beyond the resolution of symptoms. While millions of Americans are suffering from depression, millions more are deeply unsatisfied with life. Mind-Body approaches help you on your path towards a fuller experience of Aliveness in every moment and in every breath. True Healing is a shift in consciousness. Please take your time to explore this website, for ideas, resources, and approaches to treating depression naturally and effectively. Alternative medicines, integrative and complimentary therapies, and self-help tools are all available to assist you on your journey to recovery, and far beyond! The Alternative Depression Therapy website may serve as a self-help tool, but the use of this information does not constitute a therapist/client relationship and should not serve as a means of self-diagnosis or a substitution for psychotherapy or medical treatment. The information on this site is for informational purposes only. Statements on this website have not been evaluated by the Food and Drug Administration (FDA). Information, techniques and products on this site are not intended to diagnose, treat, cure, or prevent any disease. If you are experiencing symptoms of depression or a physical problem it is advised that you see your doctor for an evaluation. If you are having active thoughts of suicide please call 911 or the National Suicide Hotline: 1-800-SUICIDE. For information about Alternative Depression Therapy in Santa Rosa, California, or Energy Coaching, EFT Tapping or Meditation instruction please contact me! Call for a Free Initial 30-Minute Mindset Coaching Consultation in Santa Rosa or a consultation via phone or video conference. Copyright 2004-2018 by Santa Rosa Psychotherapist Benjamin Schwarcz. No part of the Alternative Depression Therapy website may be reproduced or copied for commercial purposes without written permission. "What I have learned from Ben through EFT and meditation has become a big part of my personal health practice/balance now. I was very skeptical of EFT at the start but in one session I began to experience the beginning of a transformation that would gradually restore my life. I recommend him to my own clients and family and can't imagine anyone more trustworthy and safe to meet you wherever you are." It amazed me how quickly Ben was able to intuitively know what areas I needed immediate help with and then guide me through exercises that helped me so very much. I am hopeful for the first time in a while. I feel so fortunate to have had such a positive experience and I would recommend Ben without hesitation. "I went to your website and found your “Guided Meditation for Depression”. The 15 minute one. I laid down... just exhausted from all the inner pain and the “trying” to make is stop... and "trying to fix it"... and I listened to your guided meditation for 15 minutes. The inner pain... was simply gone and I could breathe and felt I came back to myself. I felt like my self for the first time in days."